DevOps is a definition that rapidly trends up and at the same time it stays not fully comprehensible. 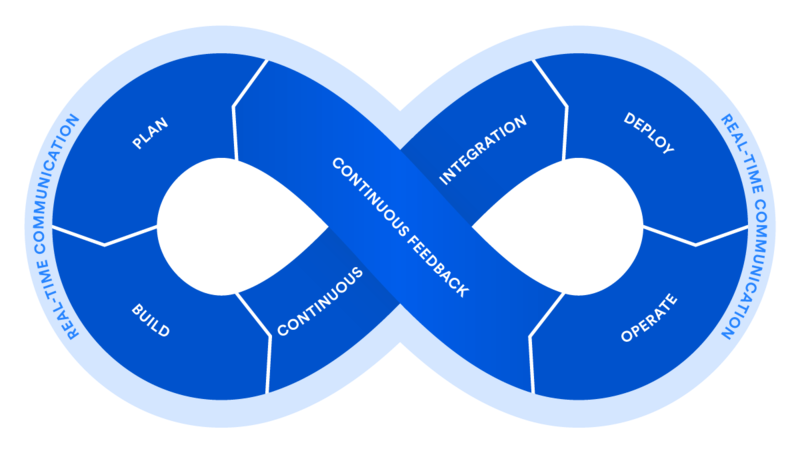 Atlassian, as a global-range developer of systems for business projects and processes management tries to promote DevOps way of thinking and through this learn how spread the word through its customers. Get familiar with key assumptions standing behind DevOps idea and start to put it into motion in your company. DevOps is a model used name a way of cooperation during software development. 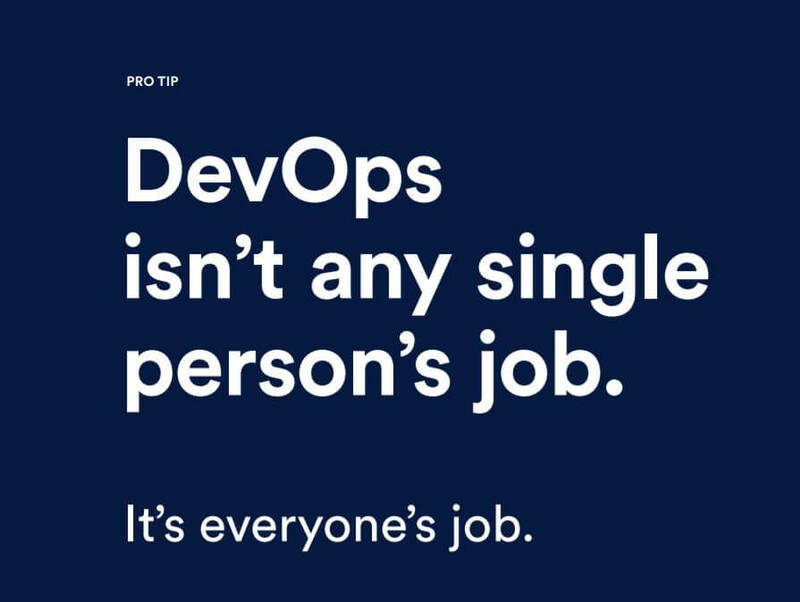 During an event of MasteryCamp series in Amsterdam, Atlassian brand representatives disclosed what is cloaked behind this name and why clients should be encouraged to implement DevOps solutions into their business environments. Magdalena Kwaczyńska, Business Analyst from TT PSC Atlassian Department and Daniel Chwaszczewski, DevOps Coordinator were both participants of the event. As DevOps approach starts to be a standard of software projects leading, I’ll do my best to show its major assumptions. “DevOps” is from a linguistic point of view a portmanteau (aka contamination) – a new word created of merging two already existing ones: “development” and “operations”. This also reflects a general idea behind it. Software developers and the rest of teams are directly involved in a process leading to creation something new out of existing resources. Unlike in recently used methodology of software development in regards to mutual cooperation, where designers where physically and metaphorically separated from the rest of departments in a company, now all involved parties need strict cooperation. Previously, first group was responsible entirely for product enhancement by code creation, support team was delegated to troubleshooting, quality assurance (software testers) were checking stability of a planned to be released product and rest of the crew were dealing with issues like package building, or deploying apps on dedicated environments. It had happened so often that communication was limited only to bug reporting and chasing deadlines. Involved parties were because of that very often conflicted with each other, which further resulted in lack of understanding and other growing misunderstandings. 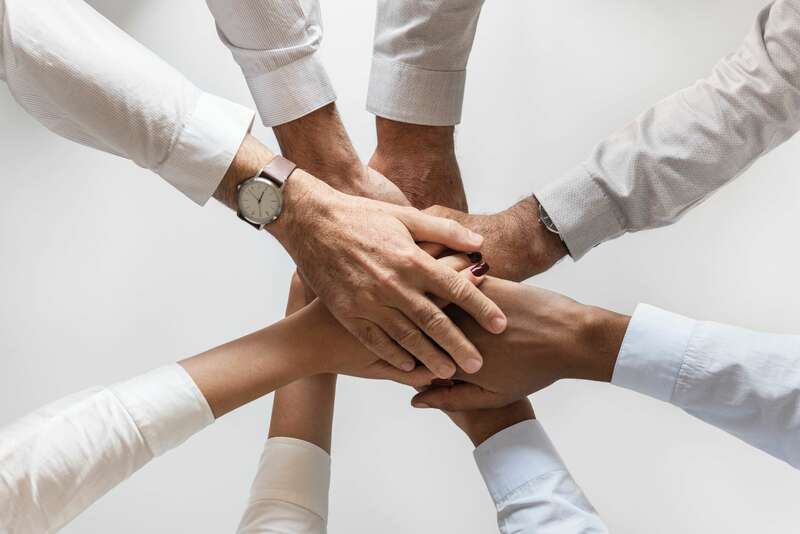 Atlassian, both via its products, trainings for its partners and materials published on its own communication channels tries to convince that TEAMWORK is definitely BETTER. DevOps culture incorporation in your business environment should focus mainly on removing any internal divisions and obstructions. Those steps must be supported with particular actions enabling to introduce proper solutions, resulting in fluid cooperation. Teamwork and engagement of all members on any stage of the project – you build it, you ship it, you run it. Atlassian Tools can be customized to meet business model needs of any market sector, however some of it are dedicated solely to IT software development teams. Wide range of offered products that can be mutually integrated and made cooperative, enables to create one, cohesive work environment. This is surely the biggest and the most crucial asset of Atlassian tools, taking into consideration especially DevOps approach. Bitbucket – for code placed in Git repository management. Bamboo – lets to effectively compile and integrate code, even in highly refined projects. Crucible – for code review and amendment in SVN, Git, Mercurial, CVS and Perforce repositories. Fisheye – enables to ease spotting errors and differences between different code versions.